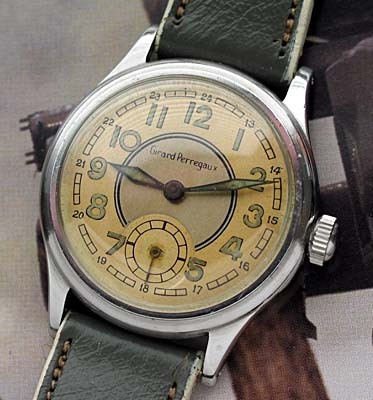 Vintage watch from Girard Perregaux, circa 1940’s. The dial on this vintage Girard Perregaux is really astonishing when you consider that it is the original dial installed at the factory sometime during the 1940’s. 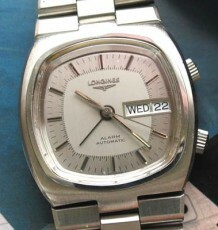 Note the 24 hour military time chapter on the outside of the regular hour indicators. 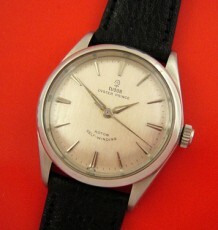 The solid stainless case features a rare for its time, solid steel screw back, which has 4 slots for removing it. The case is in great condition overall. The movement is a fully signed 17 jewel manual wind Girard Perregaux model with shock protection, hinting at a late 1940’s production date. 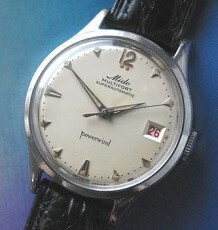 This model appears to predate the Famous Girard Perregaux Seahawk model of the 1950’s. 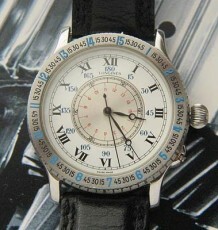 The watch is supplied on a great vintage period strap that is a 2 tone cream and green combination. The case measures 30.5 mm wide by 36 mm long.